MEDIATION AND SERVICES, Ksenija Bizjak s.p. Short name: AGENCIJA ANEKS, Ksenija Bizjak s.p. We have a responsibility in accordance with ZNPosr. on the territory of the Republic of Slovenia and Croatia secured in Zavarovalnica Triglav d.d. 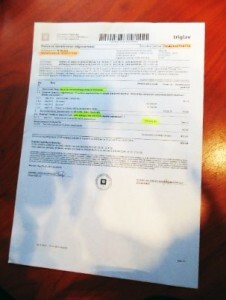 Ljubljana for the sum insured € 175,000 for an individual case or. 350,000 euros for all insurance cases in a single year.